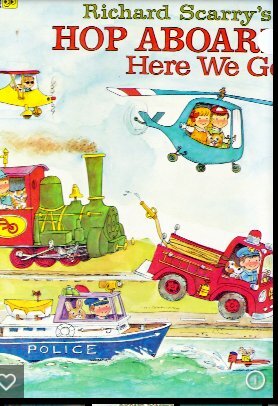 Oh, I love Richard Scarry! We’d love for you to link up this post to the Literacy Musing Mondays Link-up if you’re interested! You can find it at http://pagesandmargins.wordpress.com/2016/04/10/literacy-musing-mondays-2/. Thanks! Thanks for reading. Glad that you enjoyed it. Will link up to Literacy Musing Mondays asap. You’re welcome. Fond memories are always so much fun, aren’t they? I’m glad you shared the parallel to Richard Scary. 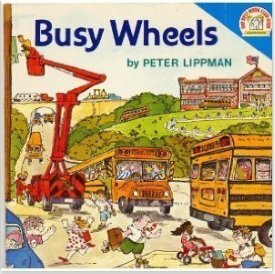 Although I am not familiar with Busy Wheels, Scary was the first author that jumped to mind. I hope to share this with my toddler son soon. Thanks for sharing at the #LMMLinkup. You are welcome! I think that your son will love this book; it is a little less busy than Richard Scary and probably easier for toddlers. We have loved all of these books. I’m pretty sure my 12 year still has Cars and Trucks and Things That Go in his room (though I doubt he’d admit it). We read them over and over. Exactly as we are meant to do with the classics! Thanks again for linking up with #LMMLinkup! 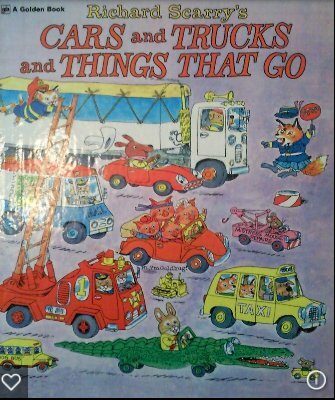 My 3-year old has just recently discovered Richard Scarry, and I know he would love this book too! Thanks for sharing this post at Booknificent Thursday on Mommynificent.com this week! Perfect choice for a three year old boy! « DISOBEDIENCE IS A SLIPPERY SLOPE….